Rather than focusing your marketing initiatives on your well-known products, why not spread the word about the products people don’t know about. 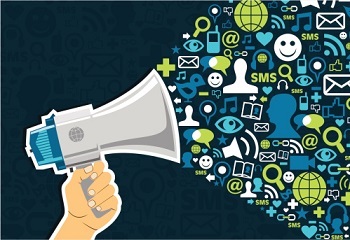 Utilise social media sites like Facebook or Twitter to get the word out about all of your products and services. Instead of focusing solely on your main service, be sure to let your customers know about your other services – and perhaps sell them with a special Social Media Discount! Be sure to slip a flyer in with your customers’ purchases so they can discover all of the different services you offer. Advertise all of your products both on the outside and inside of your store. Like the flyer idea, a brochure is an easy way to distribute information about your business. Do a local letterbox drop with the brochures and be sure to display them on the counter of your shop. If you have an email database, spread the word about each of your different products. Different products and services have different target markets – and different holidays and seasons also increase and decrease demand. Let your customers know about the products during the appropriate seasons. For example, in the lead up to Christmas, you may want to advertise your personalised gift options. Your local newspaper is a great tool for getting the word out about your business and its products/services. Come up with a great pitch that will get both the journalist and readers interested. Invite your customers in for an after-hours event where you can showcase all of your different products. Make customers feel important by setting up a VIP event. Hold a small giveaway for your customers with some of your little known products/services included in the prize. People are always attracted to the opportunity to win something, so they’ll be learning about your other services at the same time. Sales attract attention – but you need to advertise that sale. Give your customers a discount on your little known products and services – and be sure to tell them about that discount when they’re in store, on your social media pages or viewing your email newsletter. Every business is different, so you’ll have to discover what works best for you. Say, for instance, it’s your photo booths that aren’t attracting customers – try holding a special event to show your customers how to use them. If you’re struggling to sell a product, have a look at where it’s placed in your store – can your customers see it easily? Is it displayed attractively? All marketing efforts are most effective when done in coordination with other efforts. Think about how you can make your products and services more attractive, as well as how you can spread the word about them. Remember each product and services’ promotion needs to be targeted to the customers who will purchase that specific product or service in order to get the best results.